PowerMax large case alternators are true work horses that provide the highest output available at the lowest possible engine speeds. Because they are slightly larger in diameter, be certain to check your available mounting space to ensure the proper fit. These Powermaxes are available in a single 2" mounting foot or in a saddle mount, dual foot format. All require an external regulator - Sold separately. See the External Regulator page. Faster charging from your Powermax Alternator means dramatically reduced engine running time and batteries that are far more fully charged! Batteries that are properly charged will provide you with many more seasons of on-board service. 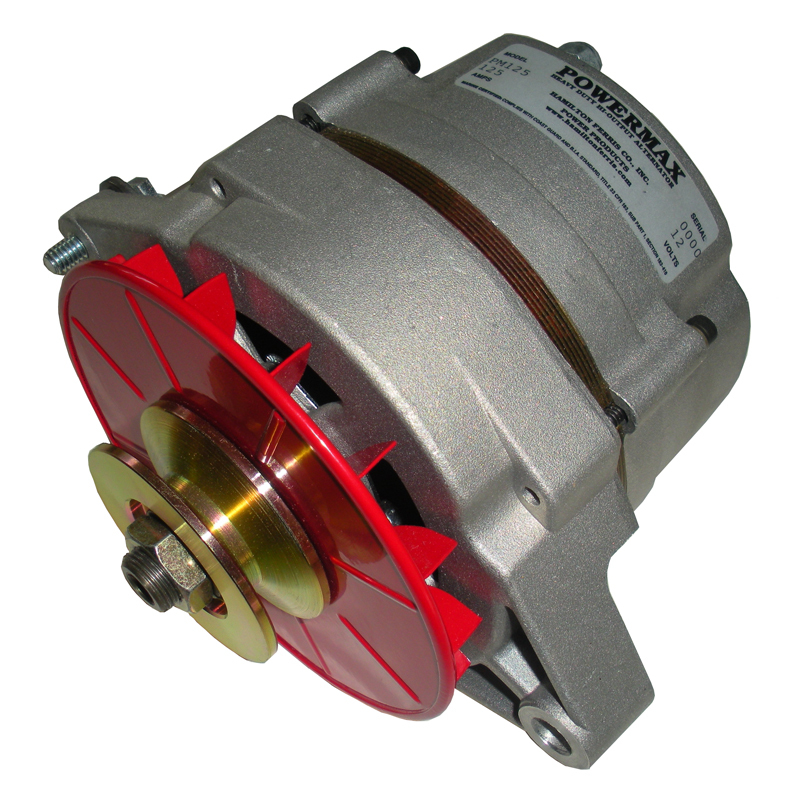 All PowerMax large case alternators come with a 1/2" dual pulley. Proudly designed & built in the USA !